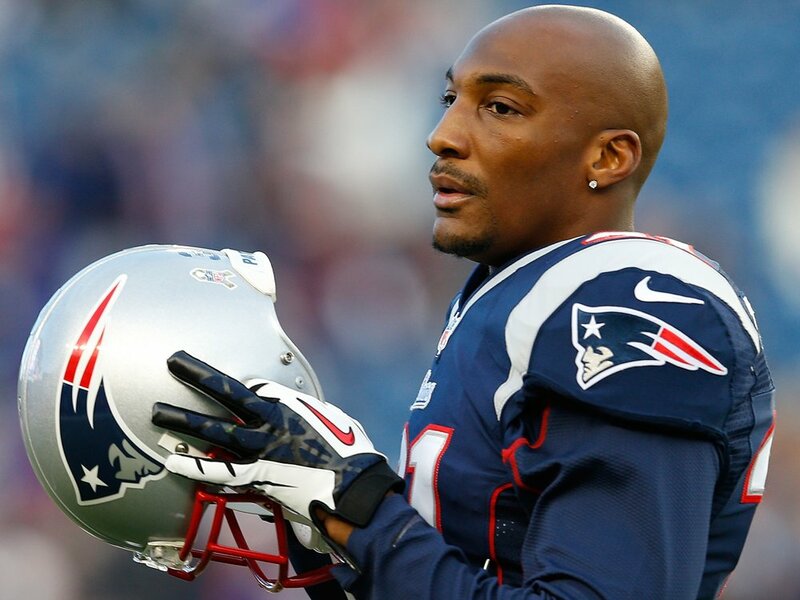 Citing Multiple Sources, the Boston Globe reports that the Patriots would like to get the Aqib Talib deal done soon. It remains their top priority on defense. Globe writer Greg Bedard also mentions that if the Patriots sign Talib he expects them to be on such players such as Keenan Lewis (Steelers), Nnamdi Asomugha (Eagles), Derek Cox (Jaquars), Quinton Jammer and Antoine Cason (Chargers, Chris Houston (Lions), and Cary Williams (Ravens) to fill the other cornerback position. Since the Giants placed a 1st round tender on Cruz, the Patriots would have to had to give the Giants a 1st round pick and a long term contract. Jason La Canfora reported that Ed Reed has hired an agent. La Canfora reported that there is a “good chance he moves on.” The two top teams are likely New England and Indianapolis. 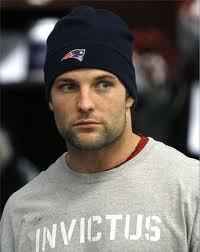 Both the Boston Herald writer Jeff Howe and Adam Schefter have reported that Wes Welker expects the market next week. Yesterday a source told CSN New England that the Patriots were closing in on a multi-year contract but now that looks like it is not the case. Ultimately, the Patriots want to resign Welker and Welker wants to stay with the Patriots, so in all likeliness he will be back. 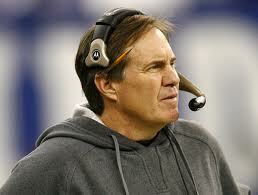 But it looks like Welker wants to know his market value and out in the open anything can happen. (See Vincent Jackson’s contract last year, 5 Years 55 Million). If a team comes out with a huge number. The Patriots likely will not match. But Welker is turning 32 next season and viewed by most as a system player, the market may not be as strong as he would like. Hopefully, the Patriots reward Welker with a deal, and we do not have to go through the awkward breakup stage of watching him in a uniform that is not red, white, and blue. Reported first by Tom Curran of Comcast Sports Net, the Patriots worked out six players on Monday. All of the players maintain practice squad eligibility. From what it looks like the Patriots are trying to add speed. Fenner, Franklin, Jackson, and Lockette are all guys whose entire careers have been based on them just being faster than anyone else. Fenner was the former football and track star at Holy Cross and would be a great hometown story. Lockette is the only guy with any real NFL action catching two passes, one for 44 and one for 61 and a score. Nielsen and Schaffer offer both special teams play and run stopping ability. Most likely none of these players will see the field for the Patriots, but its just a little snapshot into Belicheck’s head for what he feels that the Patriots are missing. 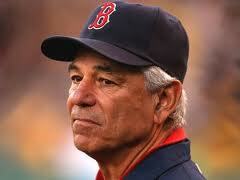 Although the past few seasons have not felt like normal “Red Sox” seasons to the 21st century Red sox fan (i.e. long playoff runs, or even a post-season victory), the 2012 edition of the hometown team finds itself in a place that the organization has not been in for quite a long time. Mediocrity. Blame it on poor attitudes, injuries, new management, or any other reason, the fact is the 2012 Boston Red Sox have been a .500 ball club for the past 4 months. In other cities or other situations a team stuck in the middle pack of the standings would instantly look to shop their current assets for future investments. In places like Cleveland or Oakland, a .500 record would instantly mean trading big league talent or expiring contracts for upcoming prospects, bringing a sense of excitement for the future of these small market towns. However, for numerous reasons, no matter what the record of the Red Sox is come July 31, 2012, this team will not become sellers at the deadline. The first reason to not expect the Sox trading pieces is the new rules wild card rules implemented by Major League Baseball for this season. Unlike the recent playoff structure of having three division winners and one wild card team in each leagues playoffs, Bud Selig has added another wild card spot along with an added one game playoff between the two non-division winners. This idea was to provide more teams with the belief that they were contenders, and to guarantee scenarios like last year, when the playoff seeding was decided on the final day of the season. With an added spot in October baseball available, the Sox are of the belief that they are and still will be in contention throughout the season. As of July 18th the Red Sox were one game back in the wild card race. After all that this Sox team has gone through this season, the fact that they are still involved in the playoff picture has to give the ownership a belief of optimism. That leads to the next reason why this team wont be a seller; the ownership. There is no chance this ownership group will ever let the Red Sox be sellers. Its gotten to the point where this group cares more about the stupid sellout streak then the performance of the actual ball club. There has been much talk about how they have finagled many of the most recent “sellouts” either by fixing the numbers or offering dollar tickets at the door, but all that talk would be nullified if the Sox started to deal players from their roster. How does this ownership group expect to fill seats if they give off the idea that they are giving up on the season by selling at the deadline. Its just something that isn’t likely with what we know about this ownership group. The final reason why the Red Sox wont be sellers at the trade deadline, and maybe the most important, is the value that their current players would bring back on the open trade market. The most common names in the absurd rumors recently, whether it be Crawford to the Marlins, or Beckett to anyone would bring back barely ten cents on the dollar. Take Crawford. This season he has played 3 Major League games due to injury, and last year was a disaster. He would still have 5+ years and over $100 million dollars owed to him. He even stated that he “is probably going to need Tommy John surgery”. Literally no team will be willing to part with respectable prospects for Crawford at this point, making it absurd to think about trading him. Beckett is still an overpaid, prima donna, who’s 2012 has been a roller coaster to say the least. Not only would the Sox have to eat a chunk of his contract, they would also receive virtually nothing of substance in return for him. 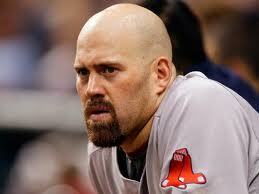 Further example of this concept was shown by the recent trade of Youk. Granted it was a trade that needed to happen, but look at what the Sox received: A “project” guy in Zach Stewart and a player in Brent Lillibridge that the Sox have already designated for assignment. That is a very likely outcome for many trade scenarios with any of the players that the Sox would look to possibly move. It would serve the Red sox better to hang on to these players as they represent more value to Boston than any other organization. Although it may be a popular ideology to blow this edition of the Boston Red Sox in hopes of building a strong contender in the future, there are many factors that will prevent this team being a seller. Don’t look for the Sox to be trading away major pieces come July 31st because of the new wild card rules, the ownership’s priorities, and the limited return these Red Sox would bring for the future. 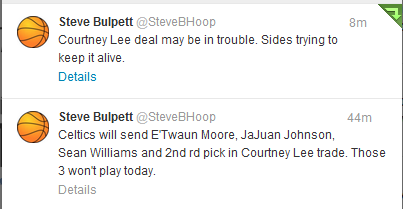 The Celtics are finalizing a trade for Courtney Lee sending Jajuan Johnson, E’Twaun Moore, and Sean Williams to the Houston Rockets. E’Twaun and Sean have non-guaranteed contracts so they will most likely be cut. Johnson has stated that he will demand a trade from the Rockets immediately. Not sure how its going to work out for him, word is the Rockets are really high on him. Honestly, by the way that he has played during the summer league, he should be happy that someone is still high on him. This is a tough blow for Moore who had said just earlier today that he expected to play the season with the Celtics and was having a great summer league. Everyone will remember his game last year where he put up 16 points in only 18 minutes against the Magic. With this trade the Celtics roster is really starting to take shape. Props to Danny Ainge for the work that he has done this summer. I am not sure any other GM in the game could have done a better job than he did. He has balanced Celtics in a place where they are title contenders, while also building for the future. The Celtics will probably look to add a few more players before training camp. Jamar Smith signed with the Celtics last week but it would likely be a training camp invite and not a full season guarantee. Look for the Celtics to sign a few more players from their summer league squad such as Dionte Christmas. 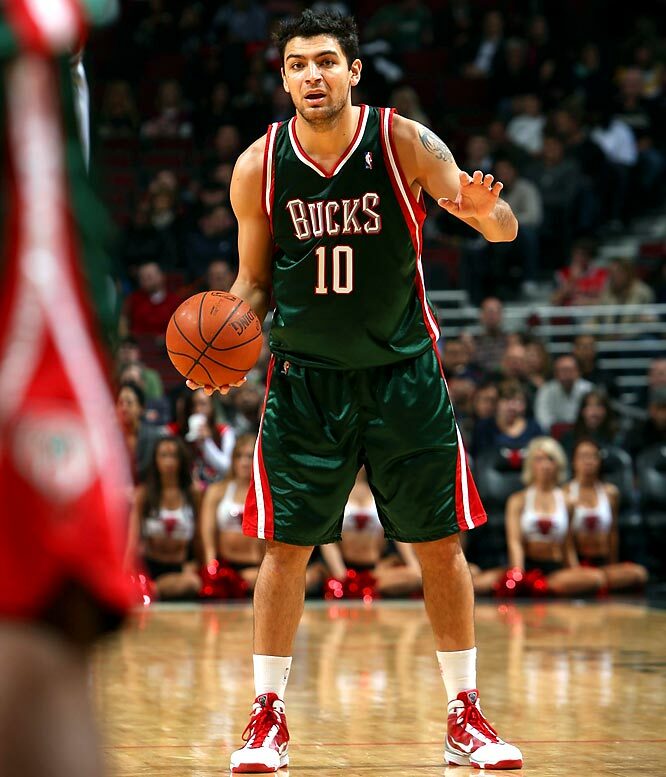 Also previously mentioned are the potential signings of Carlos Delfino or Courtney Lee, but they both do not look promising based on the current cap situation of the Celtics, most likely you are going to see them resign Pietrus and hopefully sign Christmas to a contract. Also they may bring back Keyon Dooling for the veterans minimum as he was a big part of the locker room and gave them a lift in the playoffs. Thierry Henry showing he still has it with his first goal since April 28th. If this isn’t goal of the week for the MLS then I don’t know what is. This might be my second favorite goal of the season, behind the strike from Lee Nguyen earlier. Playing in only 13 games this season Henry has 10 goals, which is good for 3rd in the league. He likely will not catch Chris Wondolowski who is looking to smash the all time scoring record this year with 18 goals in 18 games so far. The record if anyone was wondering is held by Roy Lassiter with 27. And if anyone is wondering the Revs are being led by Saer Sene with 8 goals.